As a lad, Ken Denton was an active field lepidopterist and the winner of several county and school science fairs. Under the watchful eye of his field-mentors Erich C. Walter and John W. Johnson, and with technical training from Gordon Marsh at The Museum of Systemic Biology at University of California at Irvine, a butterfly business soon evolved. A 1978 “butterfly safari” into the Amazon fueled Ken’s exotic wander-lust and created a need to generate income to travel more. 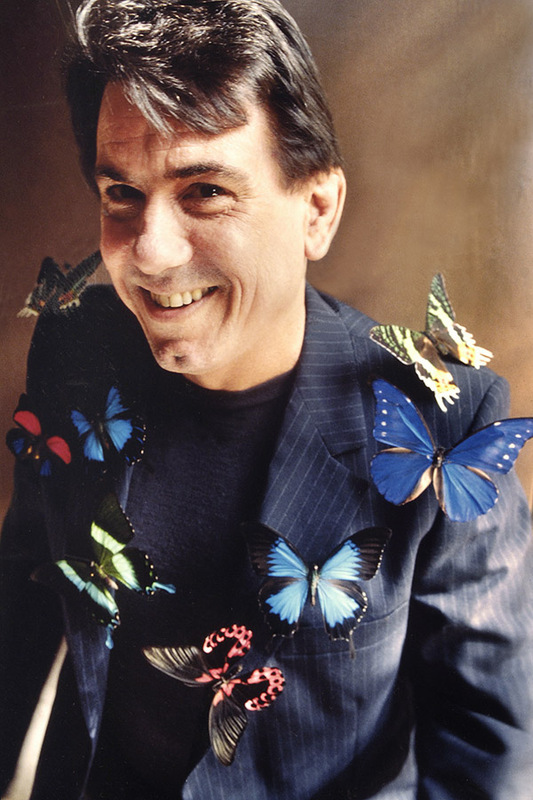 He accomplished this by selling butterfly displays in street shows, festivals, fairs, and to hotels, casinos, retail stores, and retail chains. More than a butterfly artist, Ken is also a field lepidopterist and naturalist. In the tradition of Robert G. Wind, whose business he purchased in 1978, Ken remains both a vendor and adventurer taking butterfly safaris into remote jungles and tropical islands in search of butterfly farms.